It’s overcast, pitch black and drizzling - only a storm and waves could make the search conditions worse and we were all thinking the same thing: on an open skiff, with nowhere to hide, the kid must be freezing. 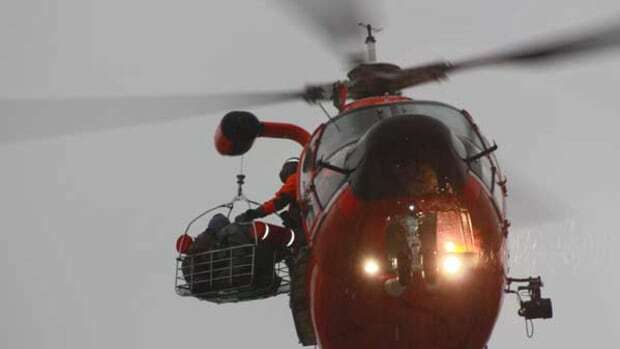 Coast Guard rescue crews take every search seriously, but we look harder out the window for kids in peril. We should. Get over it. The aircraft lurched and the light rose in the window as the helicopter banked. “Where? Where?” the pilot called out over the internal communication system. “Waving flashlight, dead ahead now — 700 yards,” I answered, scrambling out of my seat to get my eyes back on the light. “I got it, I got it,” the pilot said. 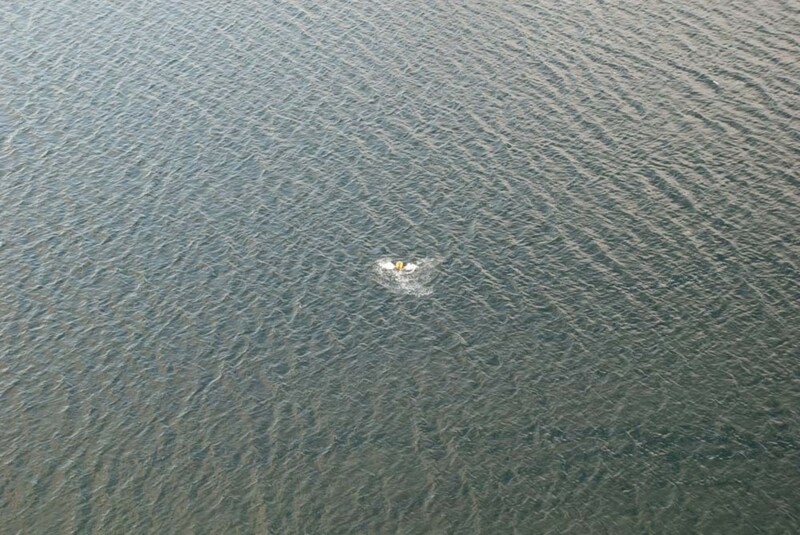 The aircraft slowed as we moved toward the vessel. It was the missing father and son. Without a VHF radio and out of cell range, the dad had exhausted all his flares before we even got on scene. He had tried signaling other boats and lit off his night flares in the direction of the marina, but he didn’t bring a flashlight. He never planned to be out past dark, or to have engine trouble, I suppose. 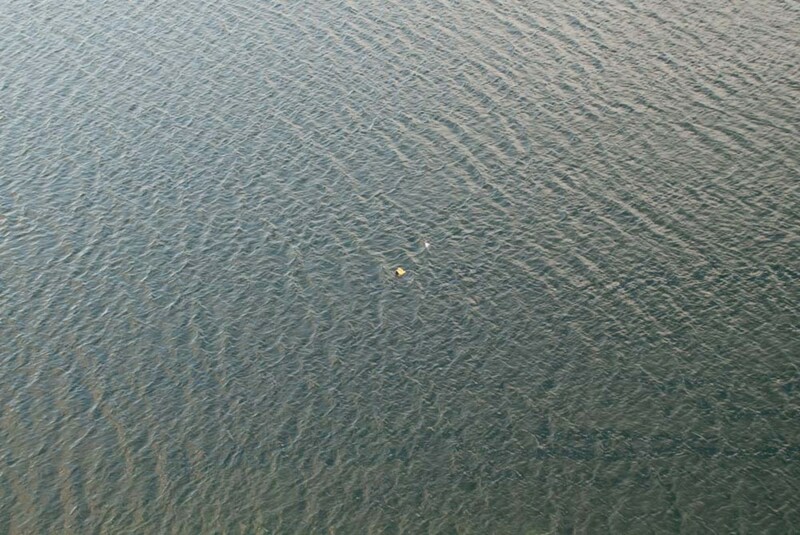 The flickering light was from a lifejacket he had lit on fire and was now holding above his head. It became clearer as we got closer and turned our search light on his boat. Holding it up until he was sure we saw them, melting plastic dripping down his arm, he took third-degree burns to his hand before dropping it into the water. All successful searches end the same way — someone puts their eyes on someone else. 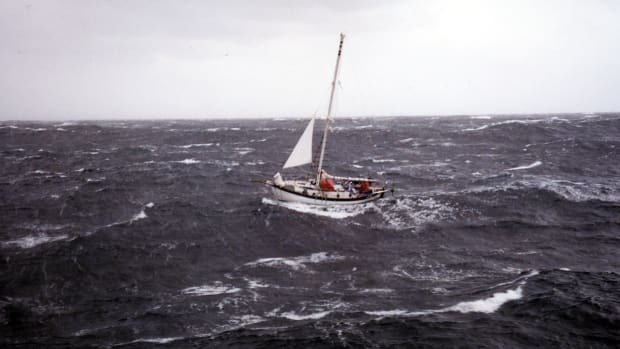 You might set off an EPIRB or call in on a VHF radio, but until someone looks at you, you remain lost. Being found is about being seen, and being seen is harder — a lot harder — than you think. This is true if you are on your boat, in a raft or alone in the water. Why? Because the ocean is really big and you are really small. 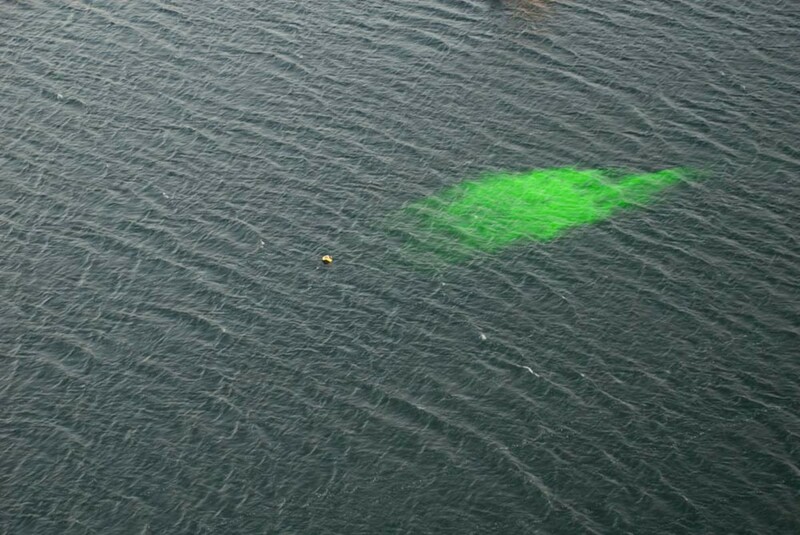 Of course, having a VHF radio or EPIRB aboard is a much better plan for signaling than lighting something afire on your boat, but if things go wrong enough for you, your first “communication” with a searching aircraft may just be visual. Here is how to do it right. To be seen at sea, you have to make yourself two things: bigger and brighter. That’s the formula. The two ways to be more visible are through active and passive signaling. 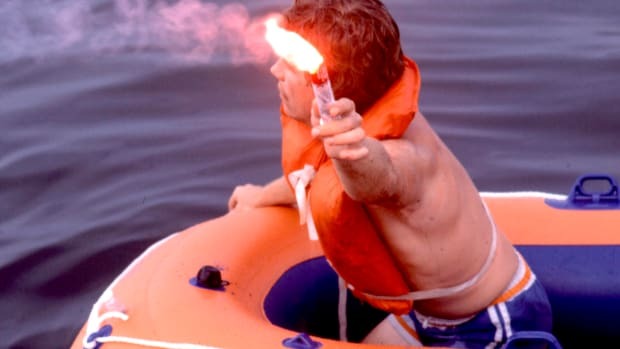 Lighting off a flare is an active signal; so is waving a flashlight or a flaming life jacket, or using a signal mirror. In land-based survival situations, tying brightly colored clothing in trees or marking arrows in the snow that point to your camp is passive signaling; you don’t even have to be there for them to work. When hoping to be found at sea you should simply remember that passive signals are ones you can’t or don’t control once deployed, and active signals are ones that require your participation to make them work. Strobe lights and EPIRBS are active-passive (I just made that up) — you have to turn them on, but they do all the work after that. If you are lucky enough to still be on something that floats instead of in the water, make yourself as big as possible. If you have spare line, tie it off and let it drift down-current from your vessel (not too far) and then tie something else off — and then do it again — to make a line of debris leading back to you. Spare life jackets, seat cushions, empty coolers and life rings are things that aren’t going to do you any good on board, but a 20-yard chain of debris trailing behind you looks different, and different is what catches the eye. Mount your strobe lights and turn them on. If you know someone is searching for you (and you should know this), then you don’t need to worry about conserving batteries. And of course, if you haven’t already, turn on your EPIRB — even if you called for rescue via VHF radio, gave them a position and know they are on the way. Things can change fast out there and your EPIRB will give search aircraft a needle to follow — one that’s pointing straight at you. Same rules apply, but it’s just a bit more serious now. You need to make yourself bigger. If you are abandoning your vessel — desperate times, indeed — take everything you can with you. Gather spare life jackets and anything else that floats, and bring it all in the water with you. Stay together with others and be tied together — this is no time to be alone if you don’t have to. It is critical is that you activate your electronic signals early. Strobe lights are designed to flash for at least 18 hours and most LED lights last much, much longer. Turn them on and mount them, even if it is the middle of the day. You don’t know how well your hands will work when night falls. 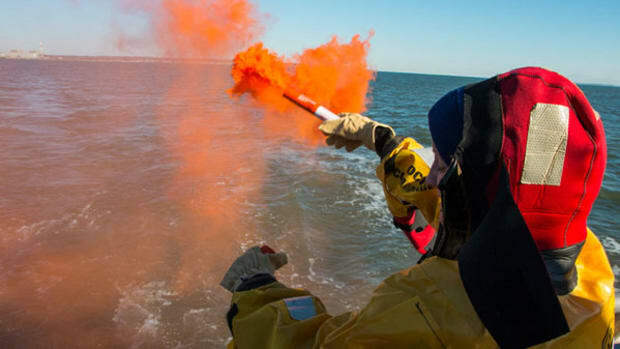 Your active signals — flares, signal mirrors, flashlights (my favorite) and sea dye markers — are much more effective if you know someone is looking. 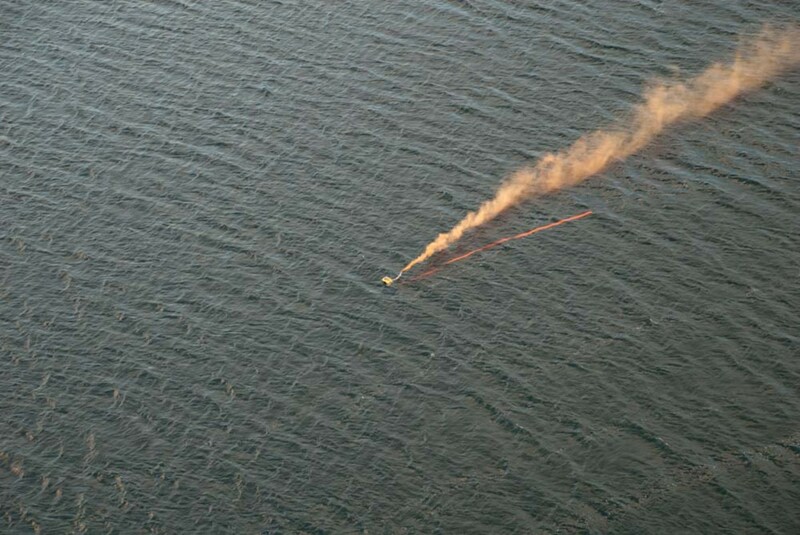 Though sending up a single flare isn’t a bad idea if you think there may be a vessel close enough to see it, save what you can for searching aircraft and vessels. It is likely that you will see them before they see you and this is when you should get to work. Send up flares and point your waving flashlights when you are confident that searching eyes are looking in your direction. A helicopter or plane has navigation lights just like your boat, and it is rare that they are looking backwards. Wait until you are somewhere between their eight to four o’clock position before popping smoke or burning a flare. And in the water, splash around if you can. Waving is nearly useless compared to how much bigger you get by creating a ring of white water around you in a dark sea. The ocean is really big and you are really small. 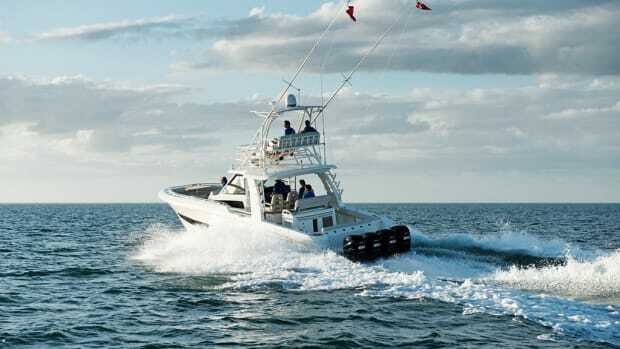 I don’t care if you’re on a bright-white, 26-foot center-console; from a mile away the difference between your hull and a long rolling whitecap is... nothing. Make yourself bigger. Make yourself brighter. And do it when it matters most. 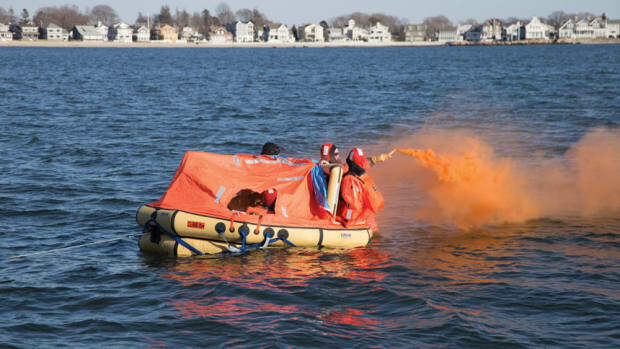 Burning a lifejacket will work, but with a little preparation it should be easier than that to increase your odds of being seen. 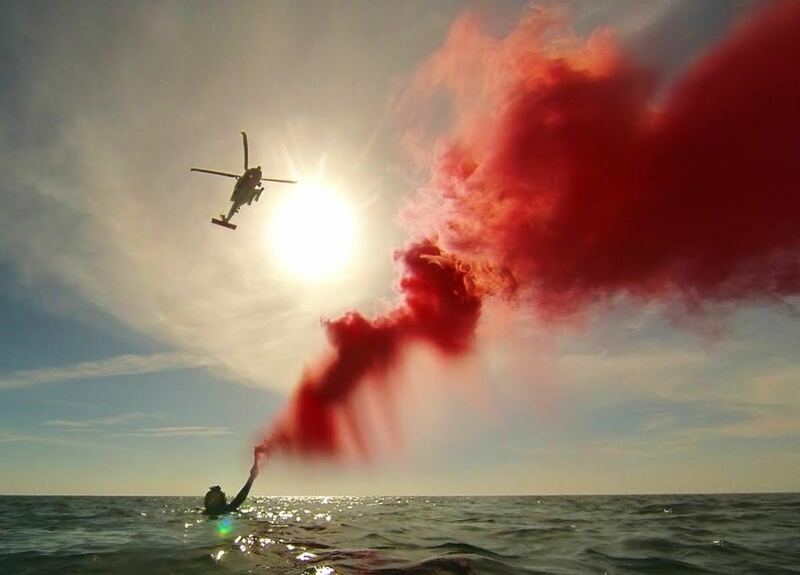 Only once in my career as a USCG helicopter rescue swimmer did I ever launch on a flare sighting that turned into an actual rescue. Three commercial fishermen were at anchor, sleeping, when their shrimp boat caught fire. By the time they got on deck, the wheelhouse was ablaze, and the only thing on the boat not on fire was these three guys, the Type 2 PFDs they were wearing and the one flare they grabbed out of the flare locker. I love EPRIBs. When asked what one thing I would take with me offshore, I always answer; an EPIRB. There is simply no valid argument against the devices. I recommend them to friends, insist on them for family and think anyone who goes to sea without one is just plain stupid. 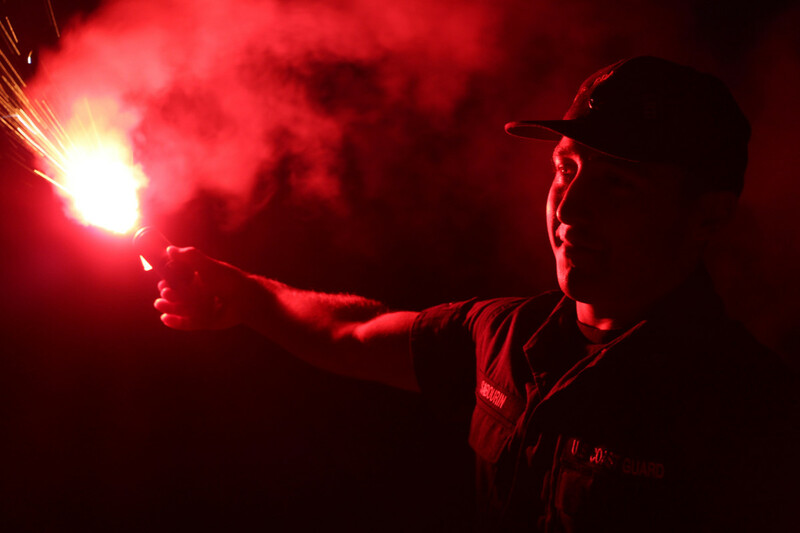 Not all flares are created equal and a flare that expired yesterday is not the same thing as a flare that expired 15 years ago, here are some important caveats to flares (expired or not) for their use, storage and inspection. 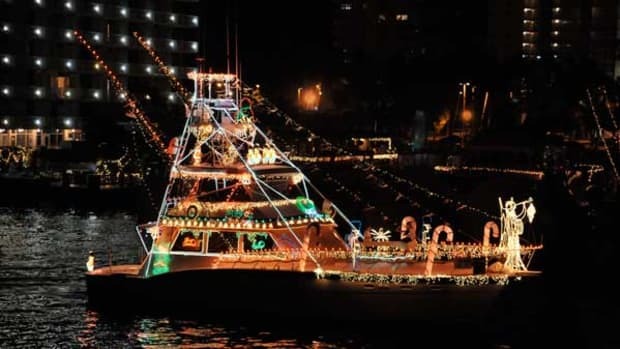 In his latest Lifelines blog, Mario Vittone lists seven of his favorite pieces of safety gear for the seagoing boater in your life, from stocking stuffers to one gift that definitely won’t fit under the tree. 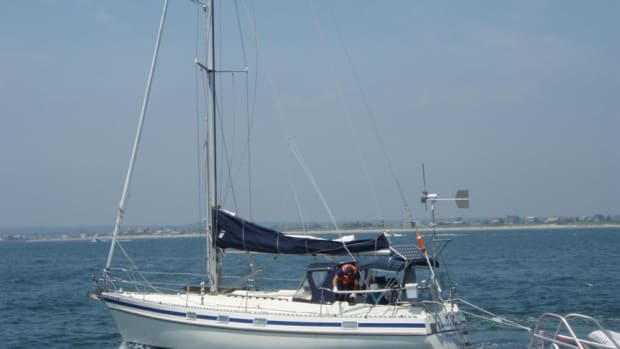 Check the Coast Guard’s annual boating statistics, and you’d think it never happens. Every hour of every day, many thousands of airline pilots do something that, on the face of it, seems silly. Just before landing, the flying pilot lowers the landing gear, and three bright green lights illuminate.